Our interviewee today is Nadia Gerwell. She was born in Bronx, New York, surrounded by a colorful multicultural exchange, but then moved to Stamford in 1994. Her parents speak Spanish and that is why she is completely bilingual. I asked her to tell me a little about her parents: “My parents are from Ecuador. They decided to come to this wonderful country of which I am very proud because they wanted to give their children a better future. My mother in Ecuador worked as a merchant with her family and my father worked in different trades. While in high school, he was forced to abandon his studies in order to help his siblings. If he did not work, they had nothing to eat. My parents are two extraordinary beings; I cannot imagine living with different parents. 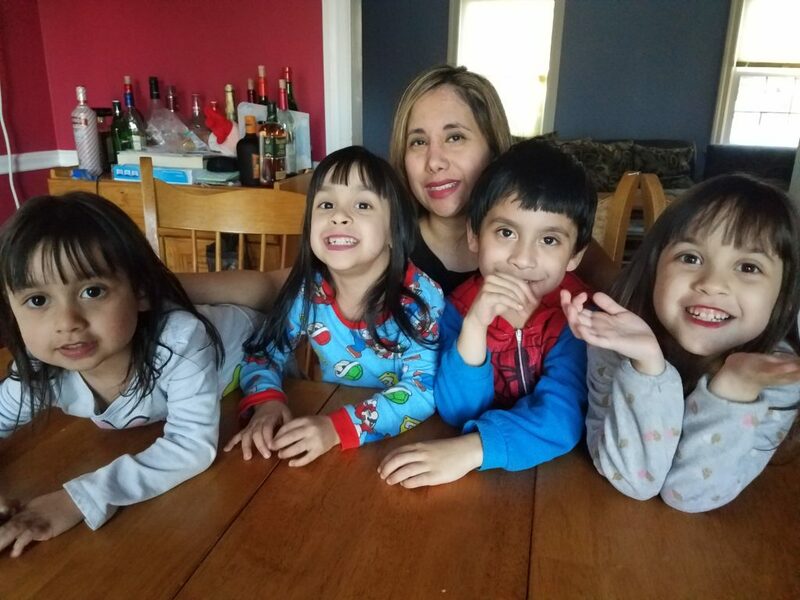 That’s why I wanted to have a family, to understand a little how they were able to give up everything for the family.” Do you have children Nadia? “Yes, I was blessed with triplets and then I had another girl. I have four angels, which sometimes drive me crazy, but I adore them. They are the motor of my life. My children are the result of in-vitro, a process that was not easy, because it required emotional preparation, exams, medication, time and money. But every time I look at them, I understand that they are the most incredible thing that has ever happened to me. People ask me how I can handle these children. The truth is that it’s all a matter of patience and help. The latter is perhaps the key to success. My parents, mother-in-law and the father of my children are actively involved in everything that involves them. Like all children, they have good days and other not-so-good days. But there is nothing that a hug and words of comfort cannot change. With them, I have learned to be an impartial judge and a mother with more than two arms. Everyone wants attention at the same time. But they are growing and with that, they are also developing their personalities. Every day is an adventure, since the four are completely different. A dose of enthusiasm, creativity, temperament, humility and trust is present in them to a greater or lesser extent. I’m in love with the role of being a mother. I think I can say that it completed me and made me grow as a human being. I’ve even put things aside for them, which I’m slowly taking back. I am currently exercising more. I even started treatment for my psoriasis, a disease that has afflicted me for the last 20 years and I was afraid to treat it because the drugs have the side effect of damaging the immune system and well, it also lowers my energy. With four children, you need to be alert all day and this drug sometimes causes lethargy. But I am very happy because the injuries caused by the disease have disappeared by almost 90 percent. Also, I have a project that I’m passionate about, on a TV show in which I talk about different subjects. In recent years, I have been very active in social networks because I felt that I could help many mothers on issues such as feeding their children and sometimes the simple and daily things. Technology provides us with many options to support others or receive support. I think we should take advantage of this. If you have talent or knowledge in some area of life, then you have to go out and share it.” What would your final message be for our readers? “Life is full of happy moments and not-so-happy moments. María Danniella Gutiérrez-Salem practiced law in Venezuela before going after her own American Dream and becoming a writer in the United States. Mdgutier@gmail.com.